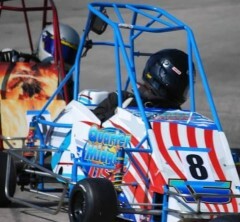 Quarter Midgets USA is your one stop shop for all your quarter midget needs. Call 848.222.4249 please leave a message Lets get ready to race! 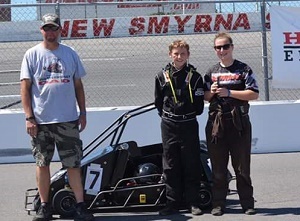 2019 marks Quarter Midgets USA's 20th year of involvement in quarter midget racing. We are a small family run business based out of Jackson, NJ. We believe we have the knowledge to assist you as we not only sell parts and service quarter midgets our children race them on a weekly basis throughtout the Northeast. We have raced both dirt and asphalt and have won many local and national events. Our two children are both two time national champions. We started quarter midget racing with our daughter, Madison 13 years ago and have been hooked ever since! 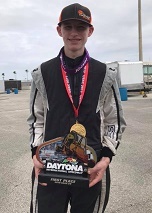 Our son Ryan started racing as soon as he was old enough and now he never wants to come out of the car! Prior to that, we were involved with many local racing teams. 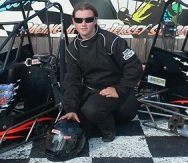 As we got involved in the sport of quarter midget racing, we knew we were automatically hooked and were in it for the long haul. At the time we were mainly racing dirt quarter midgets with an occassional asphalt race here and there. We had a smaller parts business and decided to expand to what Quarter Midgets USA is now today! 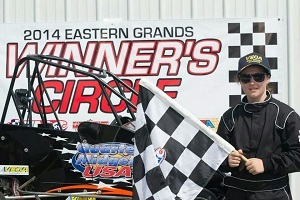 When you call or email us, be assured you are speaking with experienced quarter midget racers and handlers! Take a look around our online store. We are always adding new, high quality products and updating our store. We pride ourselves on only carrying genuine quarter midget parts. No imitations here!!! We offer shipping nationwide through Fedex and the Post office. If you are local, please feel free to stop by our store located in Jackson, NJ. You can find our vending trailer at many selected events nationwide as well as many local racing events. During the fall and winter months, we attend the Ohio Indoor series. We have many years of experience racing and particulary racing quarter midgets, Including national championship wins with our house team. Also check out our FAQ for more information. Home of two time QMA National Champion Madison Boyd! Home of two time QMA National Champion and two time North East Titans Regional Champion Ryan Boyd! 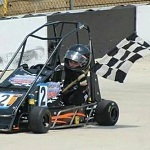 Send us an email or gives us a call see if we can help you with your quarter midget needs.